↑ 1.0 1.1 Justin D. Edwards; Douglas Ivison (2005). 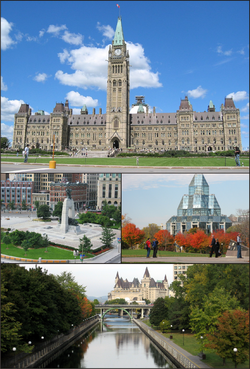 Downtown Canada: Writing Canadian Cities. University of Toronto Press. p. 35. ISBN 978-0-8020-8668-6. ↑ 4.0 4.1 Art Montague (2008). "Ottawa Book of Everything" (PDF). MacIntyre Purcell Publishing. Retrieved 14 July 2011.